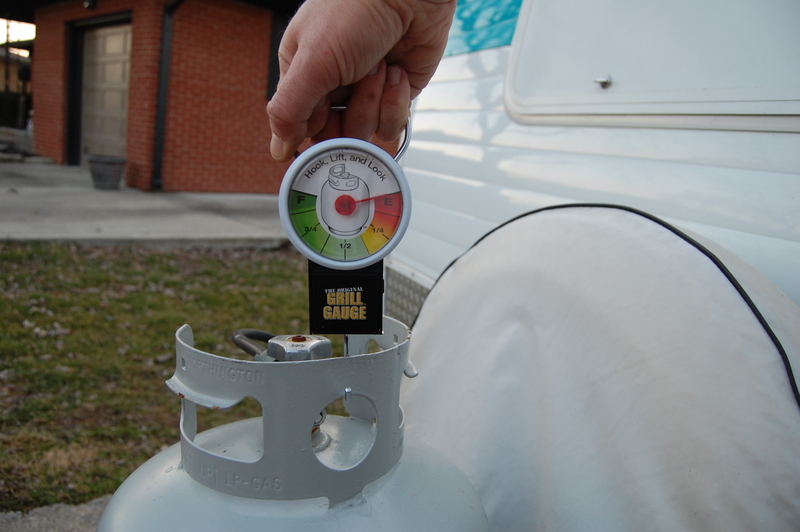 Then, while holding The Grill Gauge handle, pull up on the tank about 3 inches…just enough to free it from the trailer tongue. You don’t even need to pull it out of the loosened strap. This will give you your reading on the gauge. I know this is an accurate reading, as this was a full tank I picked up last fall, with minimal use. 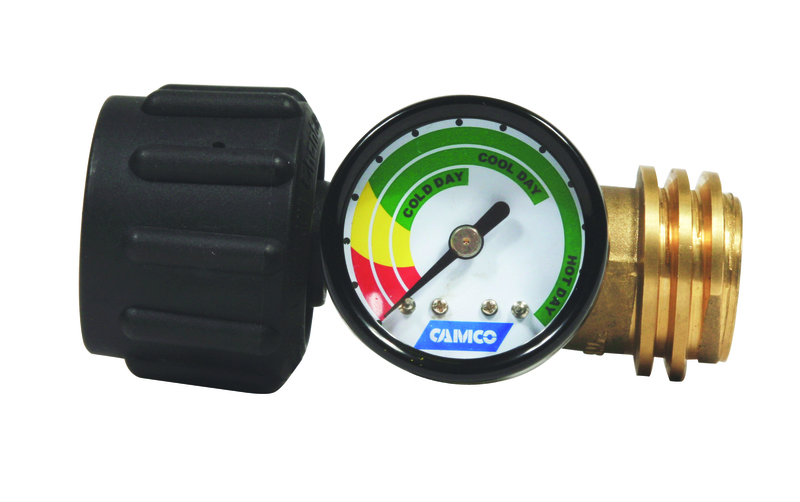 So now my search for a reliable propane gauge appears to be over. 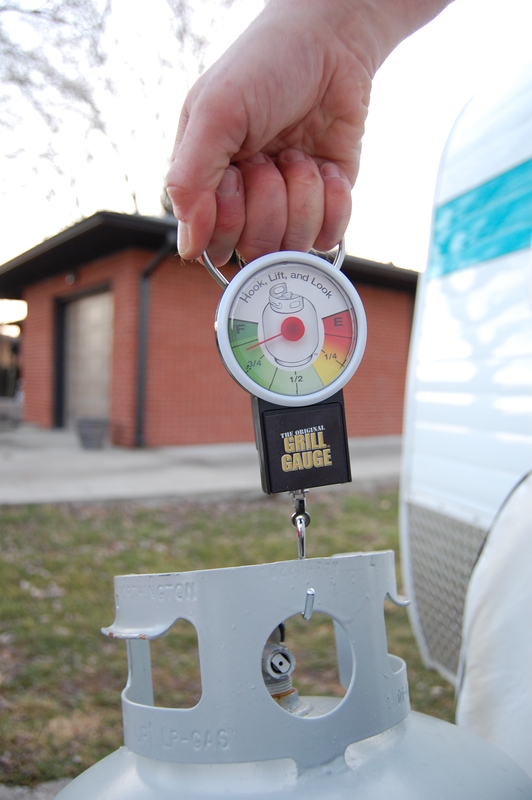 And as an added benefit, it has a handy 40″ tape measure built in to the bottom of the gauge. I picked up mine for about $10 through Amazon.com, but you should be able to buy it locally at hardware stores and propane dealers. Highly recommended! ok ok… ok… I am soooo happy to have this information Pat! thanks so much for sharing this.MUST have one. NOW! I too, thought we were out of propane at least in one of our tanks just before a huge snow and ice and very cold storm we just went through and I rushed out to make sure the LANCE had propane because I knew it would be the warm run away place if the power went out. I had 3/4 in one and the other was full.. but!! without making sure those 4 days without power and using the trailer for comfort could have been miserable! 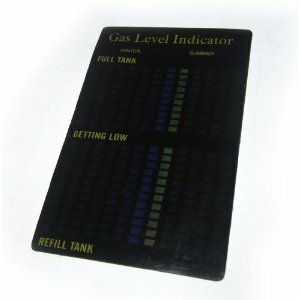 now if I had this gauge before hand I could have saved the efforts. kiddos to you ! for sharing love this site!!!! Not to mention those “in-line” gauges aren’t always that accurate. I have one of those, and it never fails- we always have more propane when it’s hot out than when it’s cold, yet we STILL run out! 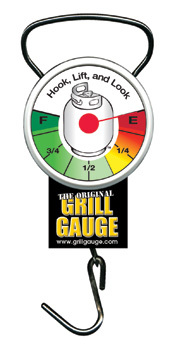 I too discovered the “Grill Gauge.” Like you said, it’s simple and IT WORKS instantly and reliably! Have tried the other junk before I found this at ACE Hardware.